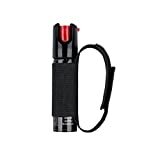 Take security into your own hands with the SABRE Campus Safety Defense Pepper Gel. 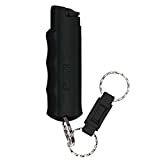 This compact pepper spray is attached to a convenient key case so you can easily take it with you wherever you go. This pepper gel is safe to use indoors and has no negative effect on bystanders. 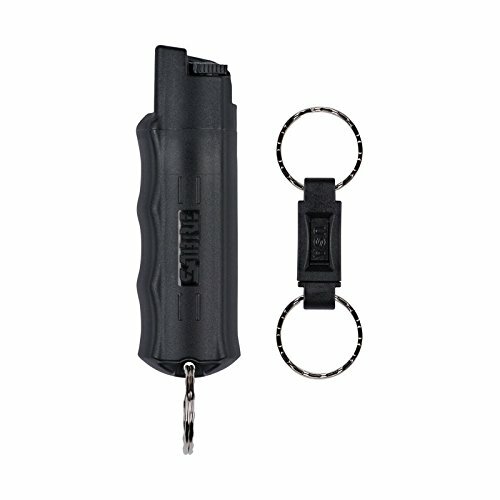 It releases up to 25 bursts of pepper gel or 10 one second bursts offering protection against multiple threats. The MAGNUM line is perfect for individuals and private security requiring larger sizes. Weighs 4.36 ounces, 60 grams and contains approximately 35 bursts. Has a heavy cone spray pattern and sprays up to 12 feet with the center of face as the point of aim. The MAGNUM line is available in locking-top, flip-top and holster models.